Sea Recovery has added a new modular configuration to the Aqua Whisper Mini series of watermakers. 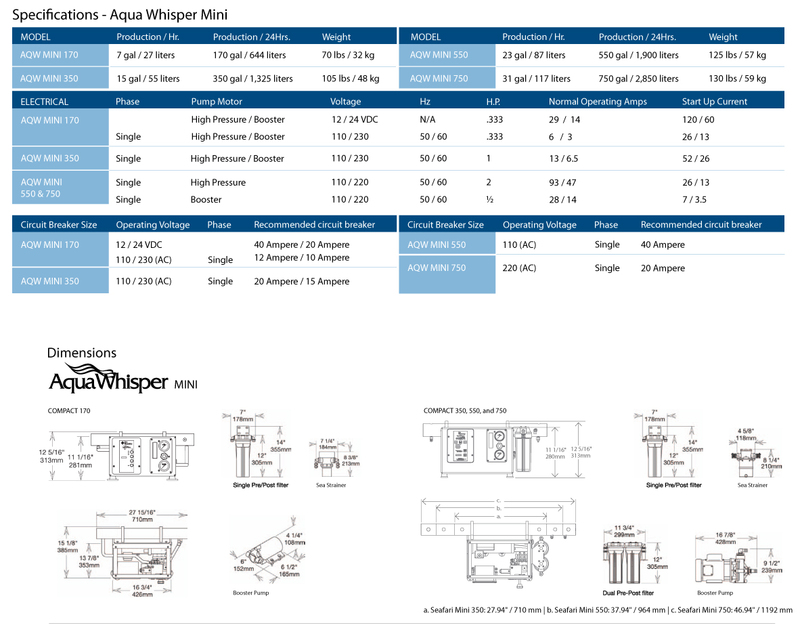 The new Aqua Whisper Mini modular is engineered to fit anywhere, in the tightest of spaces, and provides easy access to main components. The Aqua Mini series of watermakers is engineered to fit anywhere and gives you the choice to produce more fresh water while keeping the same small footprint. Measuring at about 2 - 3 cubic feet, sail and small power boaters have the opportunity and the convenience of owning a Sea Recovery watermaker without the space restrictions. Producing from 7, 15, 23 or 31 gallons of fresh water per hour, the Aqua Whisper Mini series of watermakers are the perfect seaworthy companion for the solo cruiser.